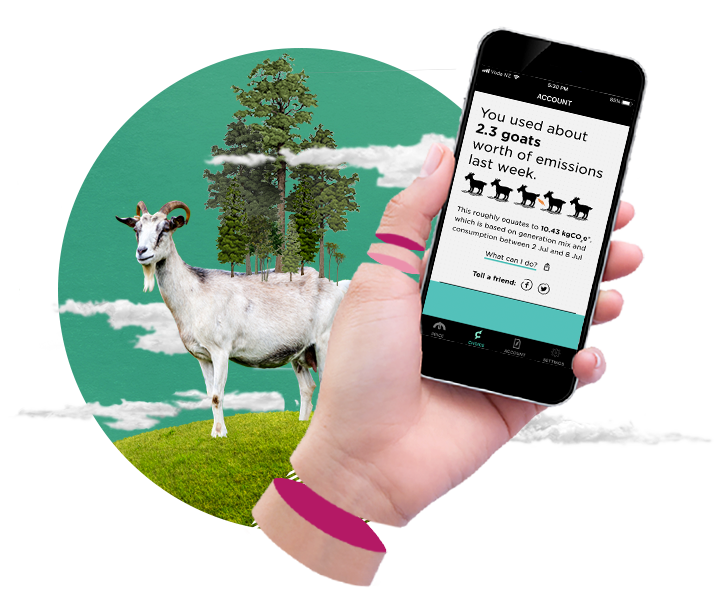 CHOICE - Flick Electric Co.
Flick’s world-first app has always given Kiwis live updates about the carbon impact of NZ's electricity use, and sends alerts so you know when to switch things on and off. But here’s the VIP ticket: Flick customers now get personalised carbon footprint data, measured in goats, so they can see how much carbon their power use contributes. Download the app today! There's a lot of greenwash out there, but no power company can guarantee you use only clean, renewable energy. All power retailers in NZ source energy from the national grid, which is fed by whatever generation sources, like wind or coal, are active at the time. This means that the only way to know you're using truly clean energy is to use it at a time that we're generating clean energy! 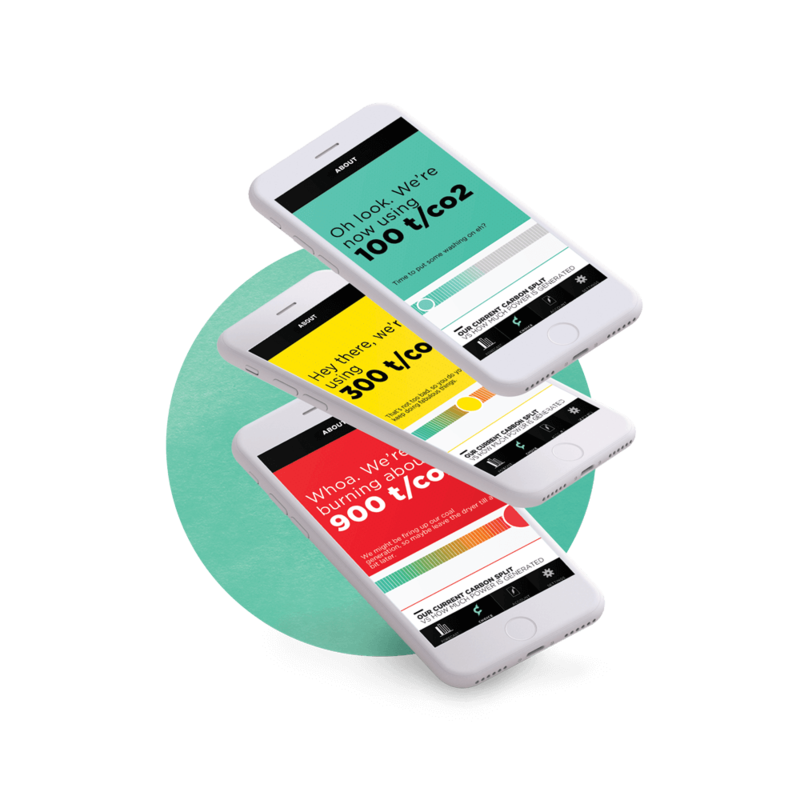 The CHOICE tab in our app gives Kiwis a real time reading of the current energy mix, so you can see exactly what's in the grid and make changes to reduce your carbon output, regardless of the power company you're with. Get into the gritty details of reducing your carbon emissions from electricity. Think you're using 100% renewable electricity because you've consciously signed up to a specific power company? We're sorry to say, you're not. 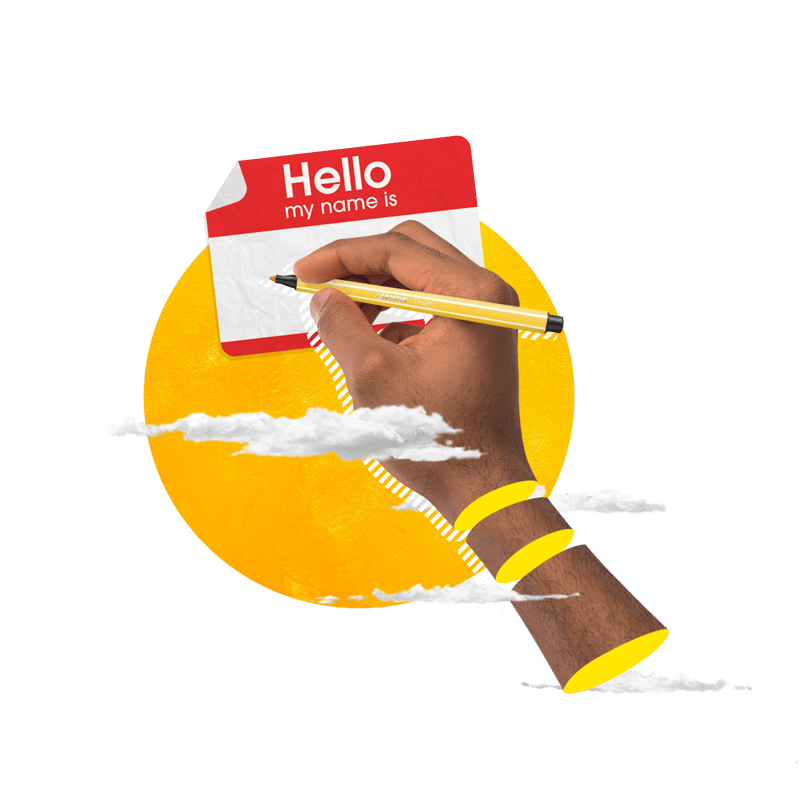 Subscribe now to find out where your power's coming from, and what you can do to truly reduce your household's carbon emissions. Each of the three emails in the series will take about 5 minutes to read, and should leave you feeling empowered. What price will I pay with Flick? Your price with Flick is made up of a number of components, all passed through at their wholesale rate, with no mark up! The cost of generation is dictated by the wholesale market (spot) price of power if you're on a Freestyle price plan, or the fixed generation price you signed up for on a FIXIE price plan. The wholesale electricity market is used by generators to sell their energy to retailers, who then sell the energy onto customers like you. The New Zealand Electricity Market (NZEM) is regulated by the Electricity Authority (EA). Read more about generation. Your transmission/distribution costs depend on your meter set up and where you live. You can find the pricing schedule for your area here. And you'll always know exactly what we make on your bill. Your Flick Fee is separate and transparent and covers the costs of us looking after you as your retailer. If you're a standard user, your Flick fee is 42¢ per day, and 1.58¢ per kWh you use. If you're a low user, your Flick fee is 3.15¢ - 3.62¢ per kWh (depending on where you are). Flick doesn't charge you a daily fixed amount - your daily fixed charge is made up of Network and Metering charges only. If you're on FIXIE, an additional FIXIE admin fee of 0.15¢ per kWh applies. These fees cover our costs to bring you our award-winning service. What’s behind the number on the price dial? For Flick customers, the price dial shows the live variable charges for their electricity, including the spot price of generation which come from WITS (run by NZX), the lines charges at their place based on their meter set up from their local network company, Flick’s variable retailer fee and the Electricity Authority levy. Each Flickster’s price is unique to them because every property is set up differently. For Flick app users who don’t buy their electricity from Flick, the price dial indicates where the current, nationwide average spot price is sitting. This information comes from WITS (run by NZX). We don’t put a number on this because we don’t want people to think that the spot price of generation is the only charge that makes up their power bill. How do you calculate emissions? We calculate emissions using the emissions factors from a number of sources, as no single source exists for all generation types. The 2015 emissions factor for geothermal, coal and gas is published by MBIE. The factor for diesel is unpublished but is based on average diesel emissions over the past 10 years, also supplied by MBIE. The emissions factor for co-gen comes from EnergyLink, and excludes Kinleith’s wood fired station. Hydro and wind are rated at zero. To get your personalised carbon emissions, we calculate the portion of your usage attributed to each energy source for each half hour period, and we multiply these by relevant emissions factors. These are added together to give the total emissions for each half-hour period, and each half hour is added up to give a daily total. So, you'll work out my individual carbon emissions from NZ-wide information? That's right. The electricity market operates nationally - not locally or individually - so we believe that calculating your individual carbon emissions using the average emissions at a national level is most appropriate. Plus, we're all responsible for how much power we use as a country. That's because our electricity supply is influenced by national demand, or how much we're all using at any given time. If demand exceeds the supply of cleaner, renewable electricity, our non-renewable energy sources (like coal and gas) are fired up to meet it, and they produce lots more carbon emissions. Are there things that might be different for each person, though? Where you live - most of our hydrogeneration is in the South Island so if you're a Benmore local it's likely that more of the electricity you use comes from hydrogeneration. When there are constraints in the market, like power outages and maintenance on the HVDC cable (which transports electricity from the South Island to the North Island) it can mean that the power generated down south can't be moved north and will stay, and be used, down south. Whether you're near any embedded generation - NZ has generation stations which are embedded within local networks rather than connected to the National Grid. If there is embedded generation near your property then the electricity you use is more likely to be generated there. How much power is lost in the lines on its way to your place - we calculate your emissions using the volume of electricity recorded at your meter. To supply you that electricity, the generators have to generate slightly more electricity than what's needed, because some is lost in the process of getting power from sites of generation, through the National Grid and into the local distribution network. It's usually around 7% that's lost, though this can vary depending on where you live. Isn’t 350 CO2e still a massive environmental impact? It sure is, which is why we say that emissions are ‘relatively’ low. We acknowledge that to have security of electricity supply we have to generate electricity from a range of sources, and some of those will create emissions. But we are better to move our demand to times when renewables are more bountiful, and avoid using power at times when high emissions sources like coal and diesel are in the mix. How does the electricity mix affect price? The spot price of electricity is largely determined by the market dynamics of supply and demand. Lots of things affect supply and demand, including the availability of different types of generation. For example, when there is abundant supply – there is lots of wind, which can't be stored so has to go straight into the grid; or bountiful stores of water at the hydro stations - prices tend to be at their lowest. On the other hand, when there is heavy demand that can't be met from renewables, generators run coal and occasionally diesel. They're expensive to run so the market price goes up. What are the thresholds in CHOICE for low, medium and high emissions? At the moment the thresholds are set at 350 CO2e for low, 450 CO2e for medium and 550 CO2e for high, but we don’t have a lot of historical data to base these thresholds on, so we might shift them over time, or even seasonally. Our goal is to give users a realistic view of when emissions are at their worst and we should be working together to reduce our demand, and times when emissions are relatively low so we have as small an impact as possible when we use electricity. Where does the CO2e data come from? The current mix of generation in the grid comes from Energy Market Services – a service provided by Transpower. Current emissions shown are only generation emissions, and exclude embedded emissions. We calculate emissions using the emissions factors from a number of sources as no single source exists for all generation types. The 2014 emissions factor for geothermal, coal and gas is published by MBIE. The factor for diesel is unpublished but is based on average diesel emissions over the past 10 years. The emissions factor for co-gen comes from EnergyLink, and excludes Kinleith’s wood fired station. Hydro and wind are rated at zero.